MK Omer Barlev publishes video in which he calls to fight Smotrich, Bennett and Shaked who "endanger us from within." A video published Wednesday evening by Labor MK Omer Barlev, ahead of the primaries in his party, compares MK Bezalel Smotrich (Jewish Home) to the murderous terrorist organization Hamas. In the video, Barlev asks, "Who scares me? Hamas’ terror or Smotrich, Shaked and Bennett?" The response to this question, according to the video, is, "Those endanger us from the outside and those endanger us from the inside. We must fight against them." It should be noted that during the elections for the 20th Knesset, the Labor party demanded that the Attorney General open an investigation against the Jewish Home party, following a video it published comparing MK Yossi Yonah and Hamas. Smotirch, who was recently elected as chairman of the National Union, said in response to Barlev’s video that "it's a shame that the Labor party is engaged in spins and mudslinging. I believe that the State of Israel’s best interests stand before the Zionist Knesset members on the right and the left." "Unlike them, I will not turn to the Attorney General and I will not help Barlev come out of his anonymity. 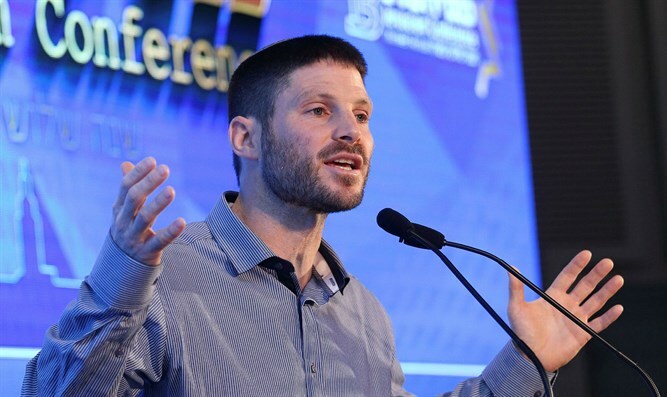 Religious Zionism will continue to lead a positive and determined agenda for the benefit of the State of Israel for many years to come," Smotrich added.